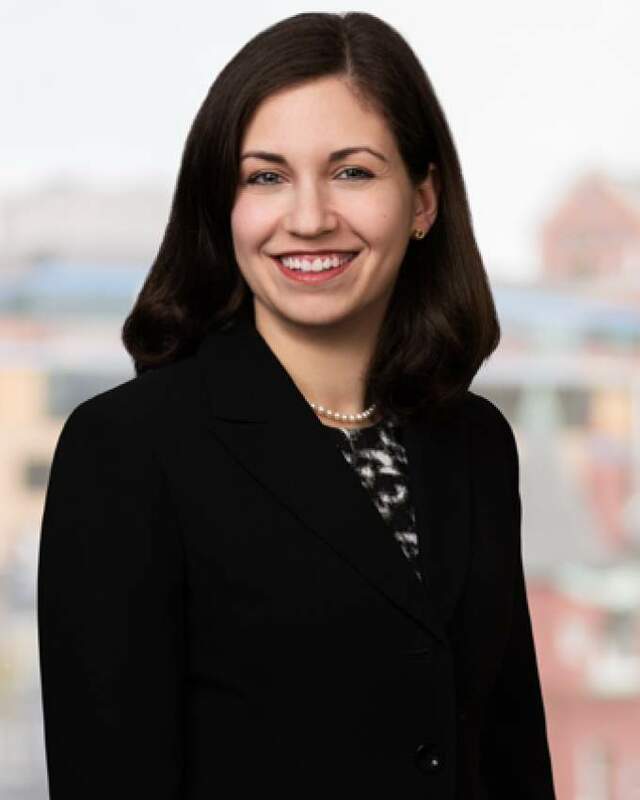 Jessica L. Mener | Slevin & Hart, P. C.
Jessica L. Mener’s practice focuses on all aspects of the firm’s representation of employee benefit plans under ERISA. Since joining the firm in 2012, Ms. Mener has worked on numerous transactional matters for clients including pension, health and welfare, and training funds. Ms. Mener has experience negotiating a variety of service provider contracts. She also drafts plan documents and plan amendments, summary plan descriptions (SPDs), summaries of material modifications (SMMs), and fund policies. She routinely reviews qualified domestic relations orders (QDROs), qualified medical child support orders (QMCSOs), and a variety of insurance policies. Ms. Mener also advises clients on compliance issues related to the Health Insurance Portability and Accountability Act (HIPAA) and the Affordable Care Act (ACA). Ms. Mener regularly contributes to the ABA Labor and Employment law section reports. She is also a contributing author to Employee Benefits Law: Fourth Edition, ABA Section of Labor and Employment Law, and its supplement, published by BNA Bloomberg. Ms. Mener received both her law degree and LL.M. in Taxation, with a Certificate in Employee Benefits, from the Georgetown University Law Center, where she was a senior notes editor of The Georgetown Journal of Legal Ethics. Ms. Mener graduated Phi Beta Kappa from the School of Arts and Sciences at Cornell University, where she received an A.B. in Government, with distinction in all subjects, and a concentration in Law and Society. She also was admitted to the Golden Key Honour Society and the Pi Sigma Alpha Government Honors Society. Ms. Mener is admitted to practice in the District of Columbia, New York, and New Jersey.